19-369 2970 Sq. Ft. 4 Bedrooms 2 Bathrooms 2 Car Garage 1979 Year Built 97.5 x 150 Sq. Ft. 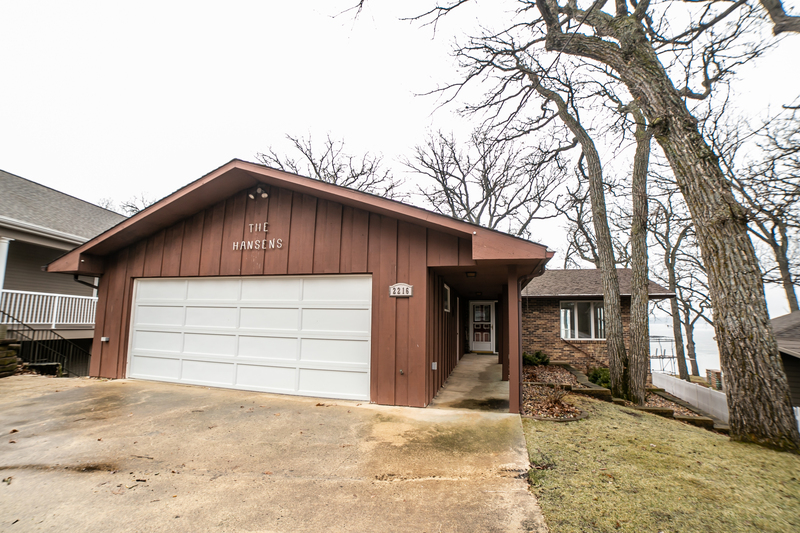 This beautiful and warm home is located in one of Okoboji’s most sought-after areas residing between Gull Point and Eagle Point with views of Emerson Bay. Situated on an exceptional lot with 97.5′ of lakeshore, this property provides luxury-lake living with a nice low approach and tremendous panoramic views. The home features an open floor plan with updated finishes throughout, and a nice large kitchen opening to the dining and living area that is lined with doors spilling you out onto the lake view deck. The master bedroom also captures the beautiful views, while the home also offers 3 additional spacious bedrooms. Wood burning fireplace, walk-out lower level family room, medium tree coverage and so much more. A true West Okoboji Lake classic.